Adobe (the folks who make Photoshop) just released a series of minimalist posters asking people to guess the song titles & artists. How many can you guess? 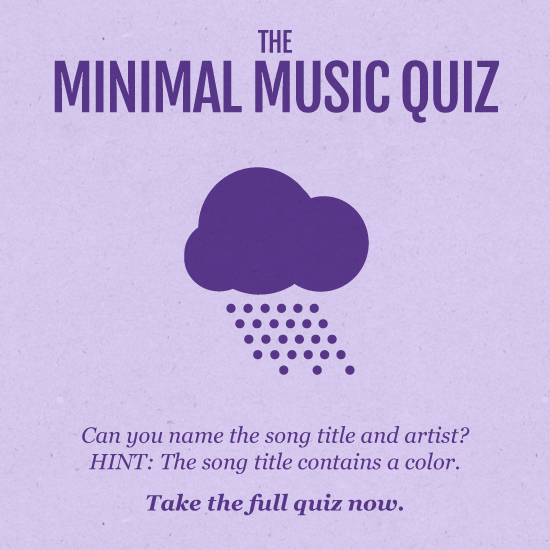 Take the quiz and tell us your score! Click image to open interactive version (via ConcertHotels.com).